We’re so excited to remind you to tune in to Evelyn Lam’s Doctoral Degree Solo Recital, today at 7:00pm EST in Rochester, NY. LHS families can watch the livestream (6:00pm CST) by following this link http://www.esm.rochester.edu/live/hatch and entering password maertSevil60! Evelyn Lam, B.M., M.M., will perform with LHS young musicians in our next studio recital on Saturday, December 9th, 2017 at 6PM at the Virtuosi of Houston Studio. We are looking forward to welcoming you and yours to the February 2017 Student Showcase Concert. Once again we have the privilege of performing together in the outstanding Virtuosi of Houston venue at Memorial City Mall. All friends and family members are invited to attend the recital and celebrate the marvelous accomplishments of these young musicians. Please save Saturday, February 11th, 2017 from 1:30 to approximately 9:00pm in your calendars in order to accommodate all rehearsals (at Sugar Land Art Center and Gallery), performances (at Virtuosi) and the reception (also at Virtuosi). Please RSVP to laurenhaleystudios@gmail.com by Saturday, January 28th with student name as you would prefer to see it presented in the program. Recital spots will be assigned via email once all players have confirmed participation. As a reminder, students are responsible for bringing the appropriate piano accompaniment for Ms. Lam to rehearsals and the recital. Students must also meet memorization deadlines and attend all lessons between now and the recital. Please contact Ms. Haley with any questions regarding these policies. As we’ll be honoring our young musicians, students are invited to dress up, and everyone is welcome at the reception following the performances. We will take the traditional studio picture after each recital. 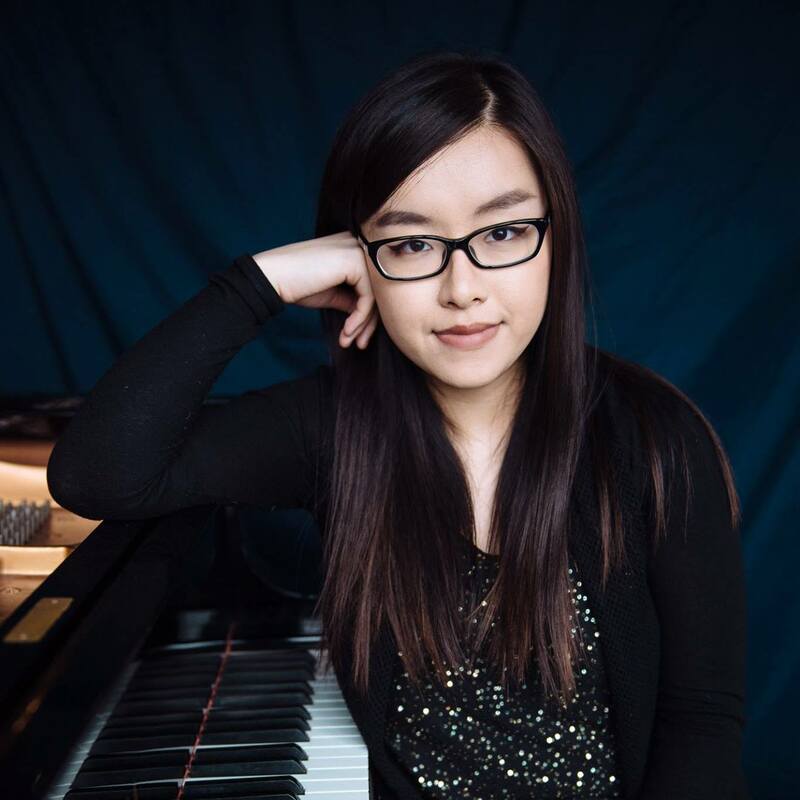 We are excited to perform with Evelyn Lam as our collaborative pianist. 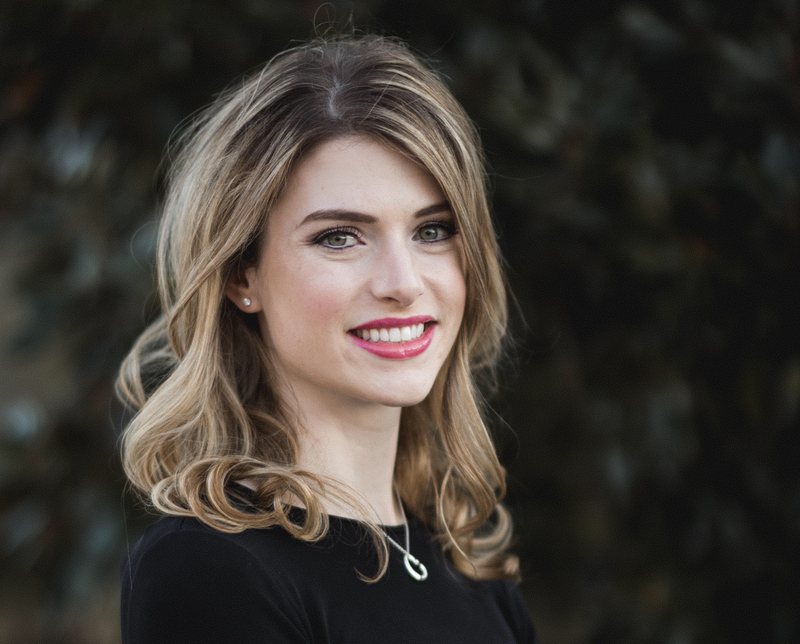 More information about Ms. Lam can be found at https://laurenhaleystudios.com/meettheartists/. Ms. Lam’s fees are $35 for 30 minutes, $50 for 45 minutes, and $70 per hour of rehearsal. Tuition is due at the start of the rehearsal. The studio recital fee is $32 per family, payable to Ms. Haley by the last lesson before the recital. Timely payment of fees helps us keep costs low for frequent recitals. The final award count for Solo & Ensemble is in and it’s wonderful to announce that 22 LHS students won Grade 1 marks, with 5 students competing in both the Solo and Ensemble categories and securing Grade 1 in both competitions. Every Solo & Ensemble contestant who performed in the 2016 LHS Student Showcase Recital on February 13th received a 1 for their solo grade. Well done, kids! We’re super excited for Amanda, Ananya, Chris, Deepa, Nikita, Paige, Sharon, and Sophie, all of whom received Grade 1 marks on Class 1 (highest HS level) pieces. Sharon and Amanda are still in middle school (7th grade) ! Congratulations to Danae, Deepa, Sophie, Kayle, and Isaac for auditioning for both solo and ensemble competitions and securing Grade 1 marks in both categories! Well done to Sneha for earning the current concertmaster spot of the Bowie Symphony, to William for maintaining the concertmaster spot in his orchestra at Elkins, to Amanda for maintaining her principal viola spot at Baines, and to Jacob for maintaining his principal viola chair at Quail Valley. We’re all so excited for Deepa, who will play first desk viola for Travis HS’s upcoming performance in Carnegie Hall over spring break! Congratulations to everyone on your wonderful progress! Lauren Haley Studios announces its affiliation with the Eastman School of Music in Rochester, NY. This affiliation brings on board pianist Evelyn Lam, an Eastman D.M.A. candidate, for recitals, collaborations, and lessons. Evelyn will perform regularly with Ms. Haley as well as with LHS students in upcoming recitals beginning in February 2016. Evelyn’s degrees include a B.M. and M.M. in Piano Performance from Eastman. Evelyn is also looking forward to her first Carnegie Hall performance on November 29th, 2015. Here are my favorite ways to help your kids learn! Ask questions, videotape, take notes, and try playing a few songs yourself. The more involved you are, the easier everything will come to you and your young musician(s)! Teachers don’t expect you to be an expert — they hope you’ll be their teammate at home, supporting your child each step of the way. 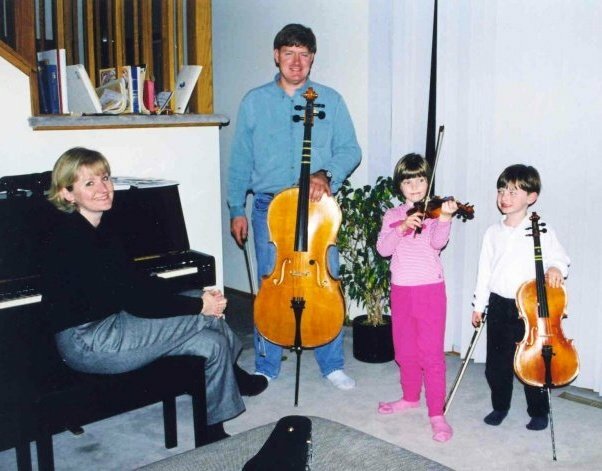 Not only does this effort help you keep up with your little violinist, but it also demonstrates to your child how much you love them and value their hard work. Remember that kids will mirror your attitude — if you’re positive and dedicated, they will be as well. If there’s an obstacle standing in your way, you can bet someone else in the studio recently faced and conquered it. Friendships with other studio parents can be a huge resource. Ask your teacher to set you up with another family. Professional Performances — Symphonies often have special concert series targeted at families. These family events often take place on Saturday mornings, making it easy for you to bring even the youngest ones along. Make it a special occasion and celebrate how grown-up the kids are at their first concert! Houston Families: Check out the Houston Symphony (especially the Family Season! ), Virtuosi of Houston, the Houston Youth Symphony, and the American Festival for the Arts. Put on a favorite CD and let the kids spin around the room. Encourage them to move to the music — slow when the music slows, speed up and twirl when the music does the same. Encourage brave musical expression from your children by getting up and dancing with them! Show children the fun of expressing how they feel through their voice. Sing in the car, on long walks, whilst doing the dishes, and, most importantly, whenever the kids are happy. It doesn’t matter what you sing or how everyone sounds: you’re building self-esteem, a love for music, and perceptive ears! It may feel intimidating, but renting your own instrument and playing along with your child for the first few months is one of the most effective ways to jump-start progress at home. Who knows, you too might catch the Fiddle Bug! Let listening to music and singing along work its way into every aspect of family life. Have a new favorite song each week, listen to your new Suzuki CD until yours neighbors could play Allegro, and show the kids how fun listening to Beethoven over breakfast can be. All opinions are by Lauren Haley and all original content is copyright 2015 Lauren Haley Studios.